Kevin was born and raised in New Orleans, Louisiana. After a decade of serving as a student minister in southeast Louisiana, he moved to Jackson, Mississippi to pursue further training for pastoral ministry at Reformed Theological Seminary. While in Jackson he served as a Senior Minister’s Intern at First Presbyterian Church Jackson (PCA). After receiving a Master of Divinity Degree from RTS in 2015 he accepted a call to serve as the Associate Pastor of New Covenant Presbyterian Church (EPC) Mandeville, LA. 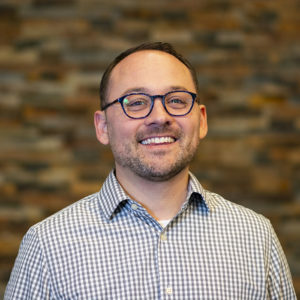 He was installed as an Assistant Pastor at URC in November of 2018. Kevin enjoys going on dates with his lovely wife Emily, playing with their two kids, hanging out with people, watching football and basketball, reading, listening to podcasts, and trying food he has never had before.